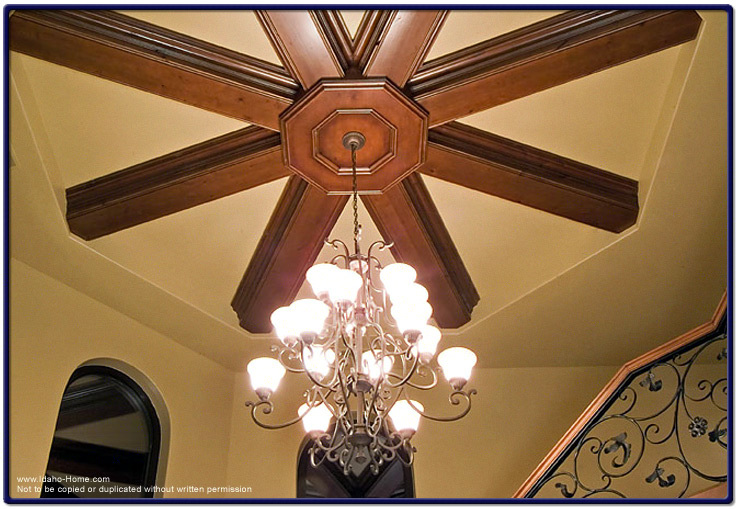 The glamour and beauty of an intricate design of ceiling lighting can not only enhance your home but also make a bold statement of the home itself. The picture below of this particular lighting was built in the middle of a circular stairway at the front entrance of a luxury home. The interior and and exterior of this particular custom home was designed and built by One World Builders.